Lots of stalls selling cards and wrapping paper, home baking, jewellery and handbags, crafts, many other ideas for Christmas and representatives from The Book People and Virgin Vie. There will also be a cafe providing refreshments. 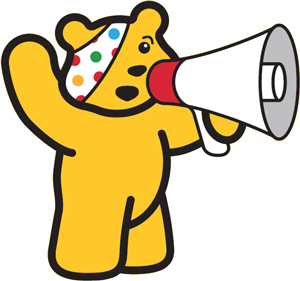 After a fun filled day of fancy dress, head shaving, leg waxing and general fundraising a grand total of £1025 was raised by the school for Children in Need. This is a truly fantastic achievement and everyone involved did a fantastic job showing just how charitable the pupils and staff of Preston Lodge really are. 12 lucky S6 pupils made the trip through to the BBC studios in Glasgow in the evening to present a cheque and also be filmed as part of the live broadcast. En-route to the studios they contacted the Chris Evans Radio 2 Drive Time show explaining how the school had raised money and in the closing moments of his show Preston Lodge got a mention. Preston Lodge High School would like to invite all members of the community to their Christmas Fair!! Lots of stalls selling cards & wrapping paper, home baking, jewellery & handbags with representatives from The Book People, The Body Shop, Port Seton in Bloom and Virgin Vie! There will also be a café providing refreshments. All welcome. For further information please speak to Miss Angus in Home Economics (Tel 01875 811170). The holidays are here at last, but when we get back there are only a few weeks before the S4 Prelim Exams begin. Why not get involved with some of the community youth activities available in our area. See the posters below for more info. Duke of Edinburgh award news. A great response from the current S3 in getting involved. Anyone still interested or with money outstanding should get this handed in by Monday afternoon (28th September). We will be having a meeting at lunchtime on Wednesday 7th October in Mr Kidd’s room. Hopefully the logbooks will be with us. To help us allocate you a staff mentor, please think about getting a group together of you and your friends (up to a maximumof 7 pupils). We will do our utmost to accommodate you in friendship groups. Two small groups are out on practice expedition next week (1st – 3rd October) with a few finally being assessed after being snowed off in the Spring last year! Please ensure you get a staff permission sheet from Mr Kiernan and approach your teachers for ‘appropriate discussions’. Likewise, any other pupils interested should get logbook fee into a member of the team before Monday 28th September. A short meeting will be held in Mr Kiernan’s room after your return from work experience. Watch this space. A lot of pupils have expressed an interest in participating but there have been few uptakes on this. A short meeting will be held in Mr Kidd’s room at break-time on Tuesday 29th September to finalise the participants list. 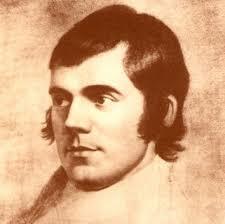 We are holding our annual Burns Supper and Ceilidh on Thursday 29th January at 6.30 pm. This fantastic evening of Scottish food, fun, music & dance is open to S6 pupils, staff, parents and members of the local community. If you wish to attend, tickets are priced £10 (includes a welcome drink and 3 course meal). Proceeds from this event will be used to support school funds. This year’s Christmas Concert will be held on Tuesday 9th and Wednesday 10th December at 7.30 pm in the School Hall. This event is a sell out every year so buying tickets early is essential. Tickets Cost £ 3 for adults and £ 1 for concessions/students. Tickets can be purchased from Monday 24th November in the foyer during morning breaks or by contacting the school office. This year’s Concert will range from traditional festive treats to Santana and Coldplay. Now that Christmas is past it is time to get down to the hard study for the Prelims. To see the exam timetable click Senior Exam Timetable 2008.